Emerald pearl granite, also known as labrador green and perla smeralda, is an eye-catching natural stone with a rich and sophisticated look. 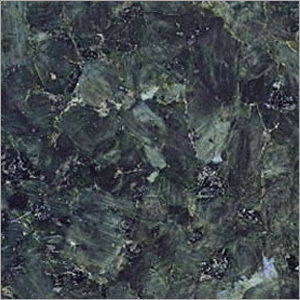 The appearance of this granite is three-dimensional with blue, green and silver flecks on dark green surface. The metallic mineral deposits are of average size between 2-4 cm in diameter. The obtained natural stone is polished by applying epoxy resin onto the surface, so as to fill natural cracks or pits. Home owners, constructors and interior designers prefer this polished, unique crystal structured granite for usage in kitchen, living rooms and bathrooms, mainly for countertops, backsplashes, flooring, walls, fireplaces, tub surrounds and showers.